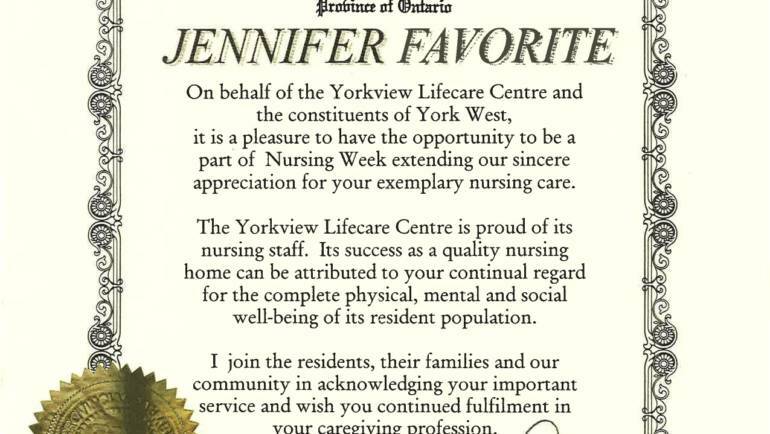 Certificate of Acknowledgement from the Province of Ontario, York West received by Jennifer in May, 2000. 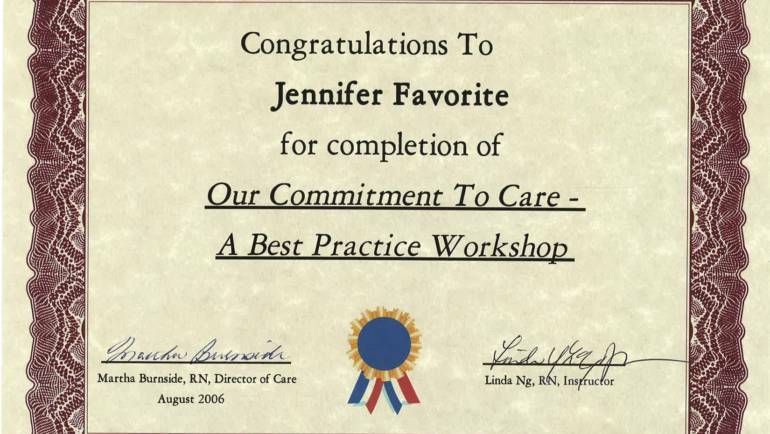 Certificate of Completion of Commitment to Care – A Best Practice Workshop, Jennifer received in 2006. 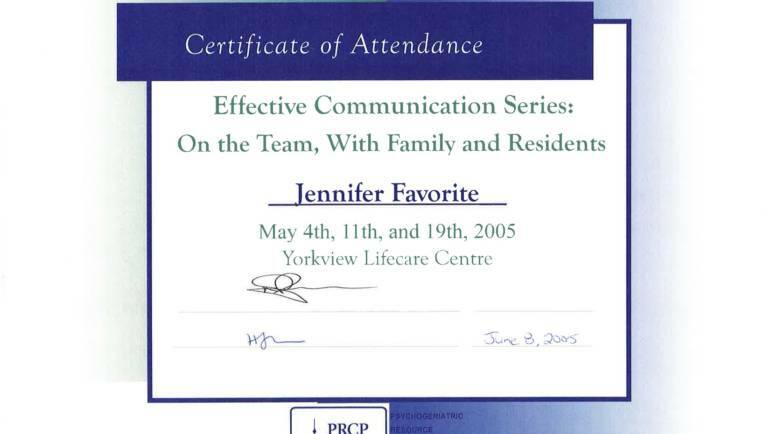 Certificate of Completion from the National Association of Career colleges, Jennifer received in 2003. 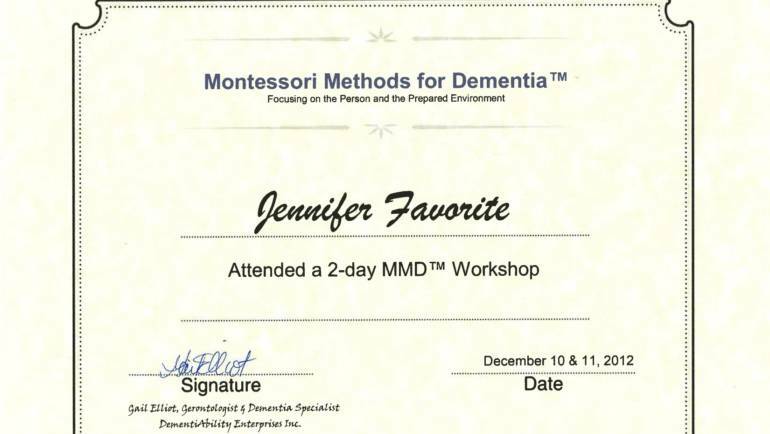 Certification of Participation for her attendance to a 2-day Montessori Methods for Dementia, Jennifer received in 2012. 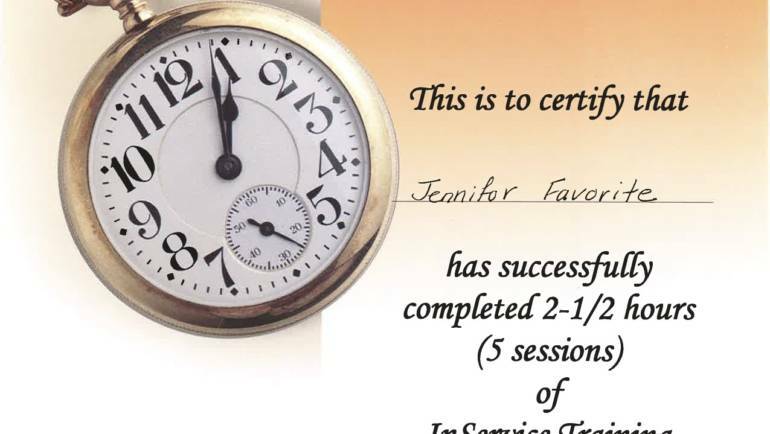 Certificate of Recognition from the InService Program Jennifer received for competing 5 training sessions. 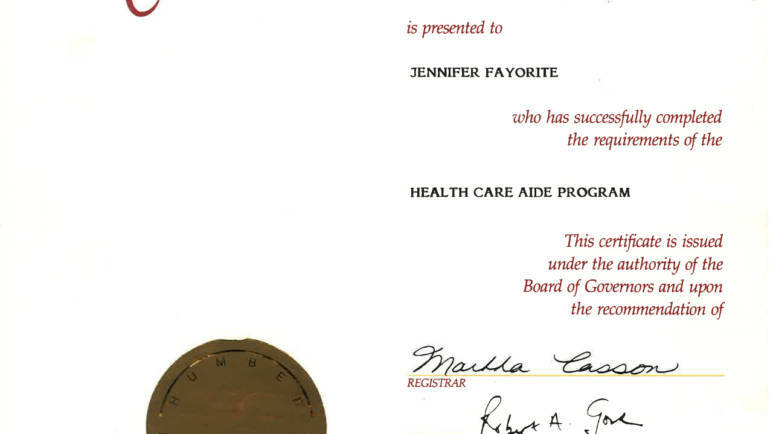 Certificate of Achievement from Humber college Jennifer received in 1989 for her completion of the Health Care Aide Program. 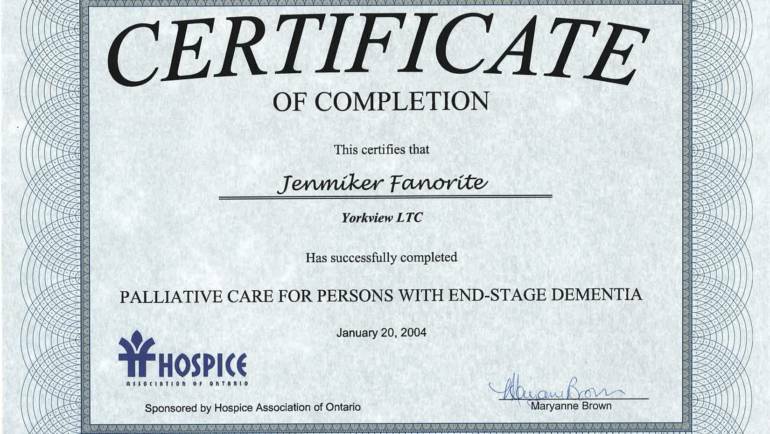 Certificate of Completion from the Hospice Association of Ontario Jennifer received in 2004, for her completion of the Palliative Care for Persons with End-Stage Dementia program. 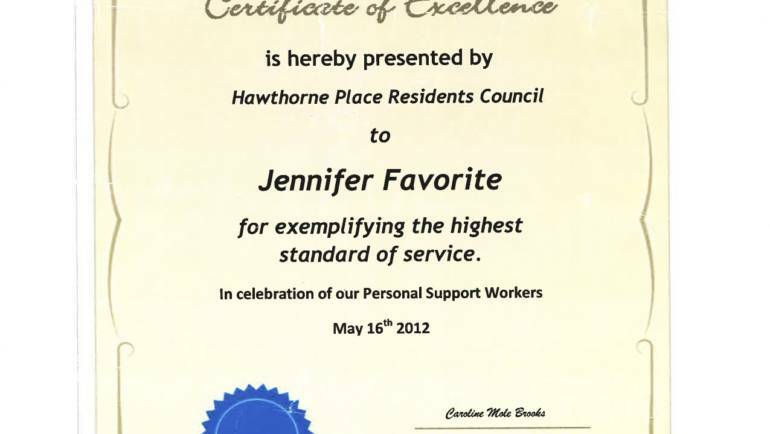 Certificate of Excellence from Hawthorne Place Residents Council Jennifer received in 2012 for exemplifying the highest standard of service. 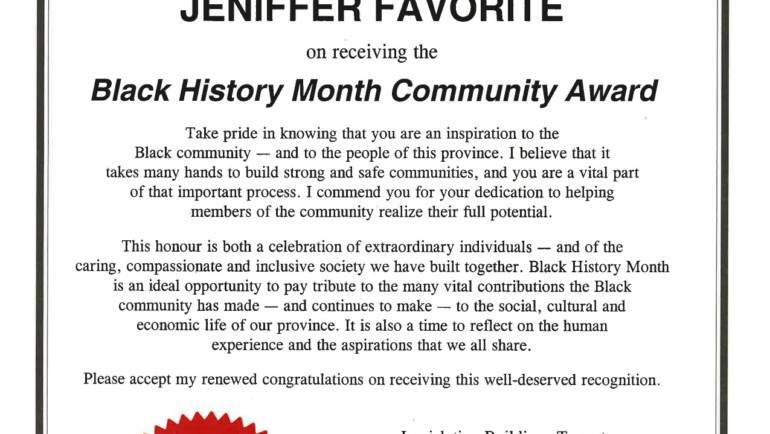 Certificate of Recognition from the Government of Ontario in celebration of extraordinary individuals for Black History Month Jennifer received in 2016. 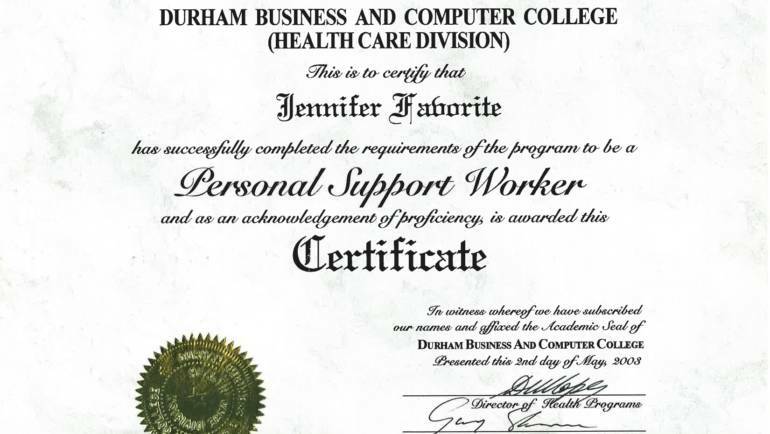 Certificate of Achievement from Durham Business and Computer College, Health Care Division Jennifer received in 2003 for her completion of the Personal Support Worker Program. 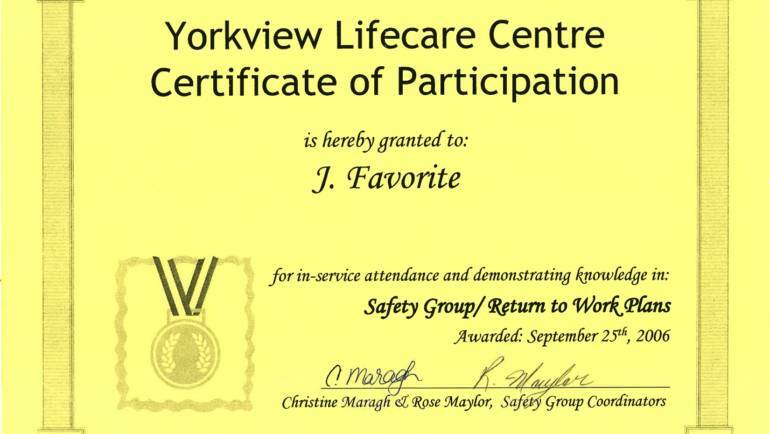 Certificate of participation from the Yorkview Lifecare Centre Jennifer received in 2006 for in-service attendance and demonstration of knowledge in Safety Group/Return to Work Plans.